WITH the onset of marriage season, demand of gold has multiplied manifold. Jewellers are witnessing renewed demand for gold. People are visiting jewellery shops and placing orders for particular type of jewellery. This has happened due to awareness on social media as well as advertisements on various channels, said Nitin Khandelwal, Immediate Past President of Gems and Jewellery Council (GJC) while talking to The Hitavada on Wednesday. The footfalls will definitely increase after the general election. Gold prices will coolly touch Rs 35,000 per 10 grams from the present Rs 32,900. Two months back, prices had touched the Rs 34,500 mark. The prices came down giving some solace to customers to purchase. However, looking at the market conditions globally as well as local, prices are going to swell in the coming days, he claimed. Kishore Darashivkar, President of Nagpur Sarafa Association and member of Team CAIT said that the footfalls of people are increasing as the marriage season has commenced. “We feel that the prices are going to climb up,” he predicted. Pradeep Kothari, Director of GJC and Karan Kothari Jewellers said, “The period from April to July is the peak season for sale of jewellery. We are already receiving bookings for marriage season. People have already purchased jewellery for their kith and kin. 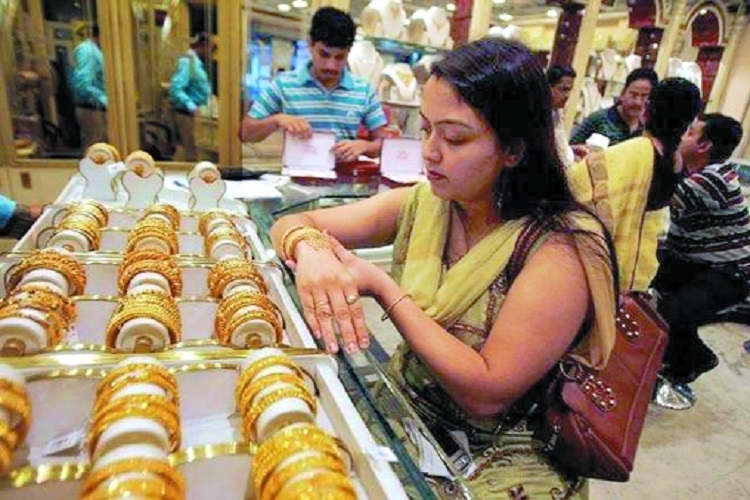 There is no doubt that gold prices will touch Rs 35000 very shortly.” Rajesh Rokde, Secretary of Nagpur Sarafa Association and Director of Rokde Jewellers, which recently started its fourth showroom at Laxmi Nagar, said that gold was always a precious metal and Indians had a craze for it. Everyone felt pride in keeping gold in homes. “Now marriage being a special event of five days, people want to bedeck themselves with gold for different occasions,” he said. It has become a fashion to wear gold jewellery particularly for office, party, wedding and auspicious occasions. Footfalls have increased and the prices may also go up in the coming days. People have changed the mode of payment. They are paying with PayTm, credit and debit cards. “Carrying ready-cash is not an issue in a city like Nagpur,” he said.